Ultra-rich. Super-moisturizing. Uber-smooth. All words you'd love to hear describing your lips. Unfortunately, winter tends to ravage our pouts, leaving them chapped, dry and flaky. Until now! 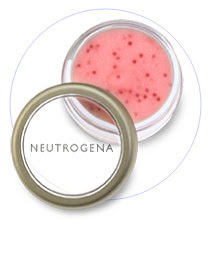 Neutrogena's Lip Nutrition lip balm offers up tons of relief, suppleness and moisture guaranteed to banish ugly chapping forever! Each little tub is created with tons of botanical extracts and emollients that leave lips feeling velvety soft. This beauty chick's favorite is definitely Berry Smooth Balm, whose subtle berry hue is accented by smoothing Jojoba beads -- making it not only pretty to look at but perfect for a gorgeous pucker! And as if that weren't enough, cranberry extract and sesame oil both condition and moisturize drier-than-dry lips.